A Brief Look at Texting and the Internet in Film is a 5-minute video exploring a multitude of varied styles of expressing onscreen information in film. Showing phone and computer screens, or the activity on them, within the context of a film is an interesting design problem. 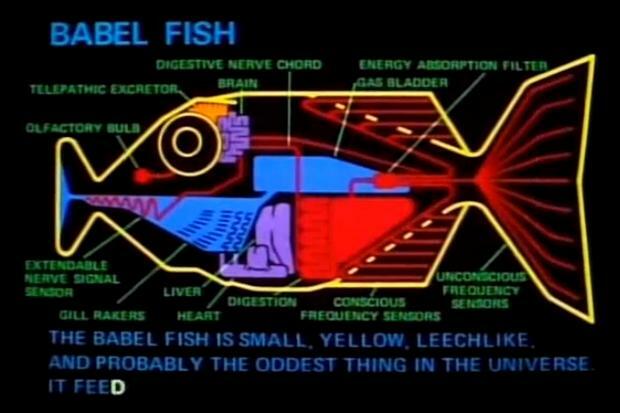 While the need for showing displays is nothing new – the original A Hitchhiker’s Guide to the Galaxy TV series had hand animated cells for each frame of it’s titular “book” – creatively, we’re still in the wild wild west. Every filmmaker ends up having to develop new techniques, and in so doing, they often find a big part of the films stylistic voice within the design. So why doesn’t everybody just point the camera at the computer and film the screen? Well many do, and it seems to work well for shots of TVs or movies-within-movies. But one of the big hurdles with computers is that it’s difficult to ask an audience to sit and read a static image for too long within the context of a motion picture. You may not notice it, but most movies are edited in such a way that a screen wouldn’t be shown long enough to read all the necessary information. Another problem is text size: in relation to the size of the phone or computer screen in question, important text/images/windows are usually pretty small. Have you ever noticed how many films – especially action films – give their characters computers with outlandish displays that don’t look like any operating system you’ve ever seen? 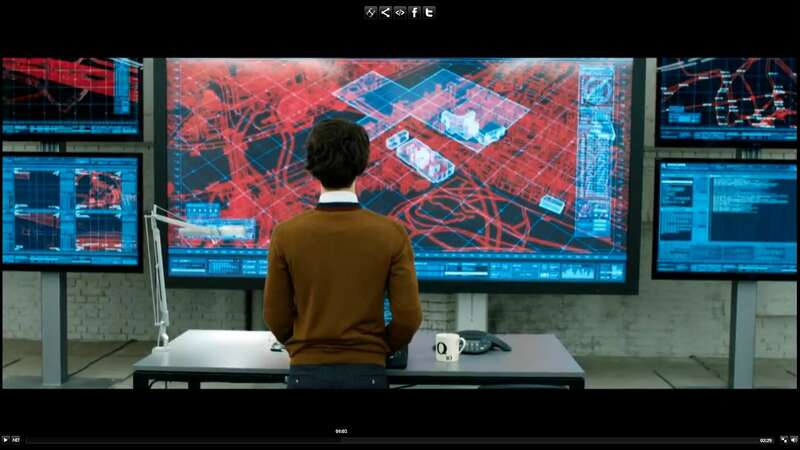 Well sure Q is going to equip James Bond the newest and coolest technology, but in reality it has more to do with the director needing to find a way to show all the important information visually in a way that can be deciphered easily on film. Texting seems to be a special problem, but as the video explores, several films – notably the BBC series Sherlock – have pioneered a style of showing texts as floating subtitles without really showing the screen at all. Not only is this an elegant choice, but also allows the filmmakers use creative title designs to give their work that special unique voice. 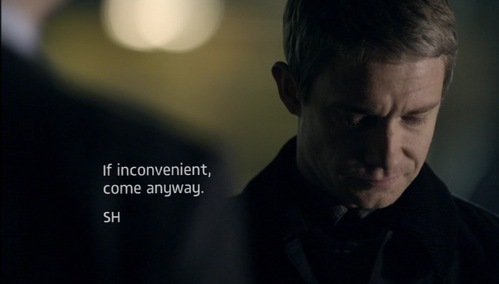 Again Sherlock is at the forefront for beauty and simplicity, and was one for the first amazing things that drew my to that series. But it’s certainly on the be all and end all. As this video shows, onscreen display design in films is ever changing, and filmmakers are inventing new techniques and ideas constantly. It’s fun to live in an era where we can watch this art evolve in front of our eyes!